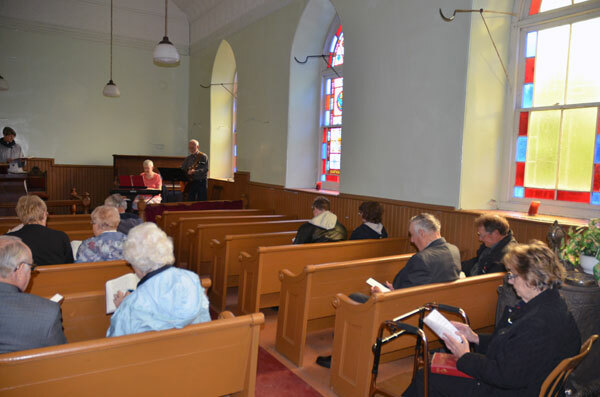 The Ashton-Munster Pastoral Charge held a service of worship on 17 August 2014 at Prospect United Church. 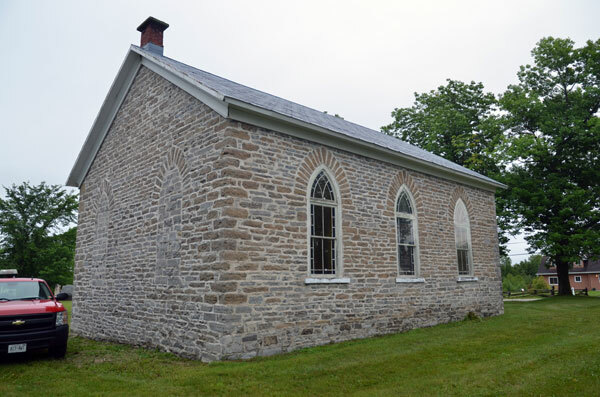 While the church has been officially closed for several years now, a service can be held when requested. 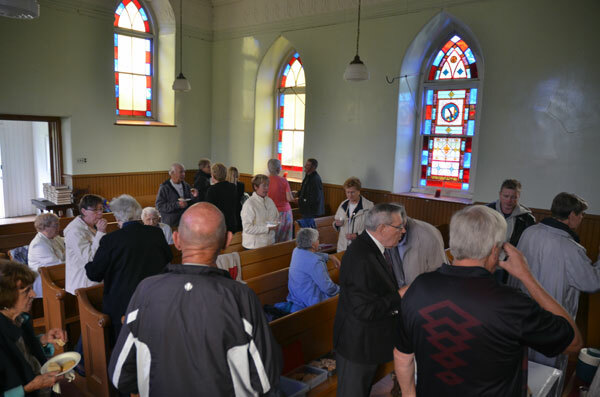 A good turnout of members from both Ashton and Munster congregations received the interesting and inspiring message delivered by Rev. Arlyce. 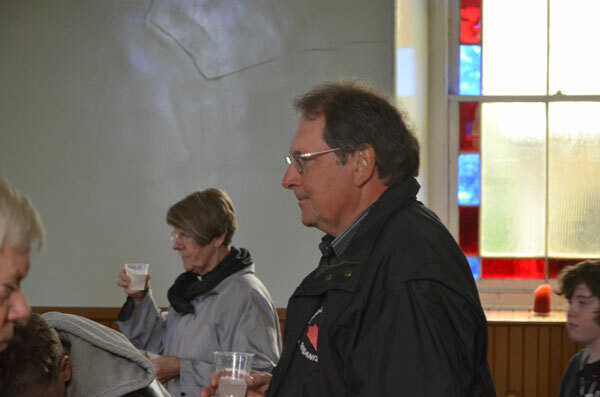 Following the service refreshments were enjoyed. 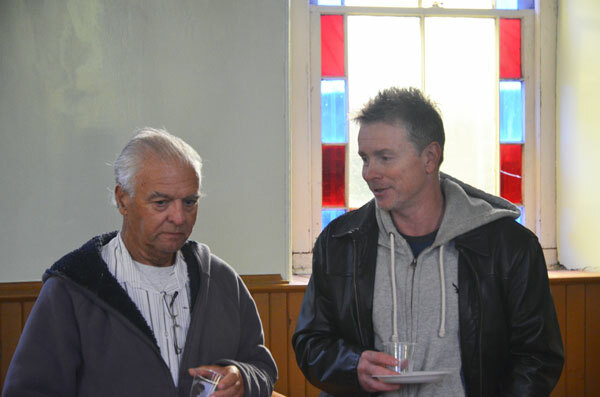 Thank you to all who helped organize this service and provide treats and refreshments. 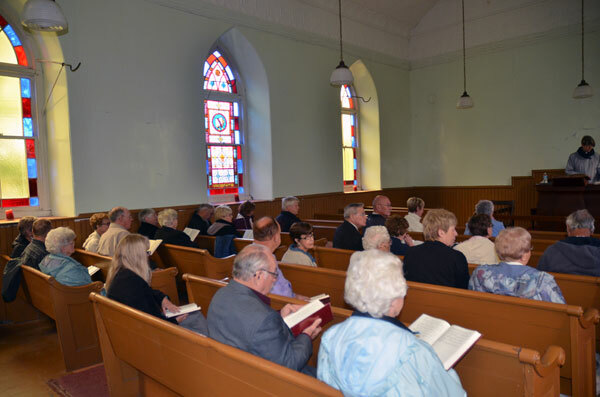 The congregation was established many years ago. 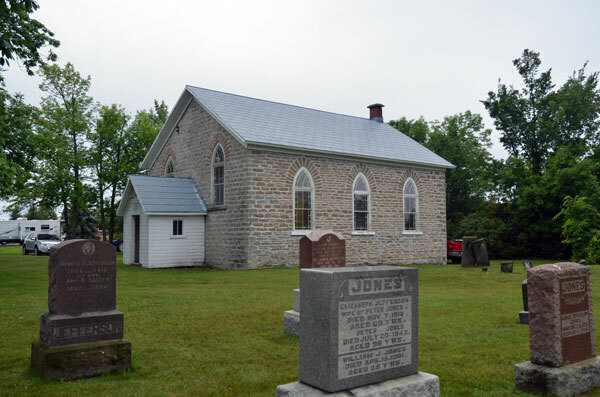 A view of the church from the adjacent cemetery. A view of the rear of Prospect Church shows the position of windows behind the pulpit area. 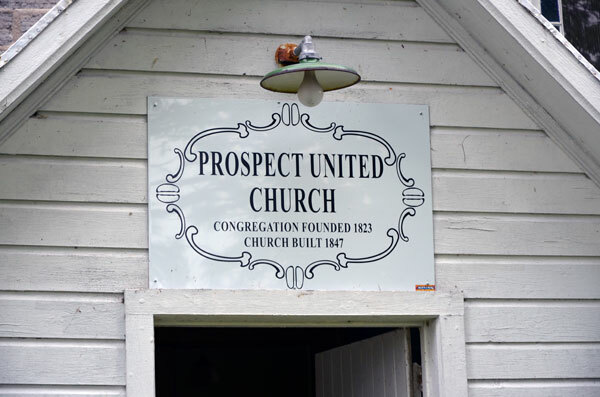 A good turnout at Prospect United Church. A view of the other half of Prospect Church. At the front are Pat Lindsey and Jeff Gilbert who provided music leadership for the service. 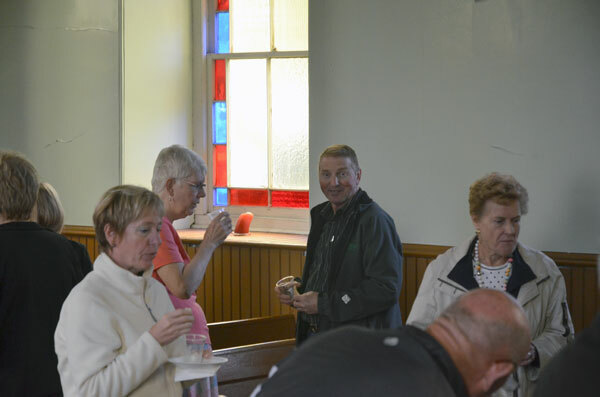 Everyone enjoyed refreshments and snacks following the service. Delicious lemonade capped off the time at Prospect United Church. 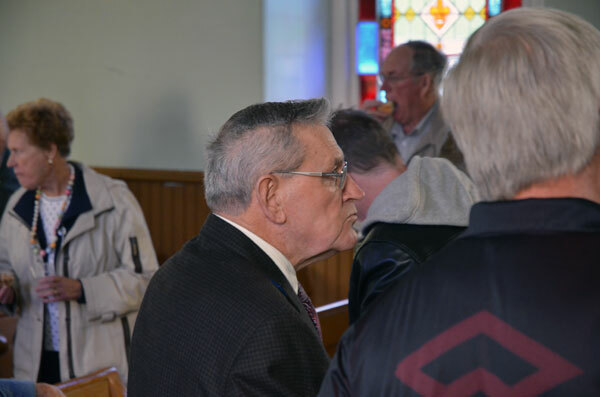 Bill Simpson at Prospect United Church. Friends catching up with news before departing.